I hope you had a lovely Thanksgiving weekend. We enjoyed time with family and friends this weekend. All the Thanksgiving decorations have been packed away for another year. Our house is now decorated for the Holidays, the lights are up, and we made it as far as putting lights on the Christmas tree. Ornaments will go up in the next couple days as I continue working on custom Christmas card orders. 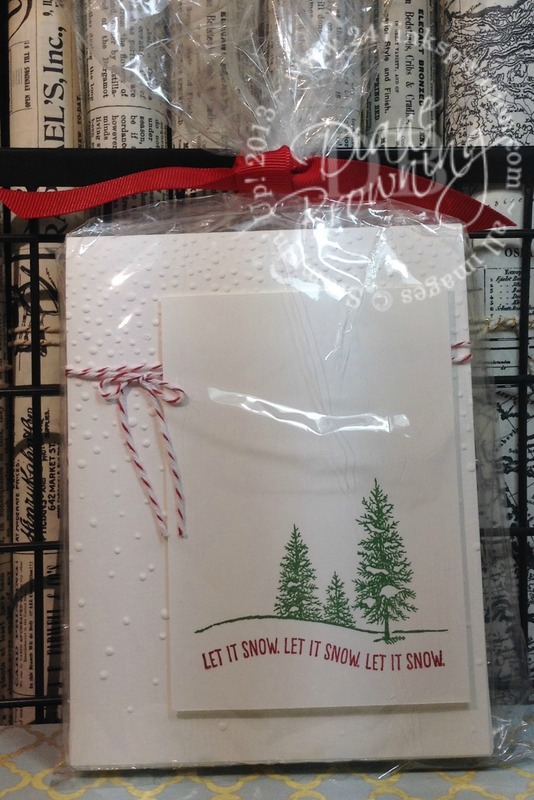 Do you want beautiful handmade Christmas cards to send out to your friends and family? But no time to make them yourself? I can make them for you. Just let me know what you’re interested in and the style you like, and I can come up with a design you’ll be happy with. Pricing ranges roughly between $3-6 per card, depending on how many cards you need. I still have a couple slots open for this year. This order will be delivered to a customer in the next couple days. And I’m already working on the next order! Today is the last day of Stampin Up’s Online Extravaganza! Today, there will be a couple items that are up to 40% off. Tuesday through Sunday the sale will be 10-40% off select items. To take advantage of the bundle specials, you must use these bundle numbers. These items are 40% off. These items are 30% off. These items are 20% off. These items are 10% off. Don’t forget the other November Specials, which end in just a couple days. Unfortunately, the Stitched Shapes Dies are on backorder and won’t be available until another shipment is received, likely several weeks. The stamp sets that are on sale are only for this month.